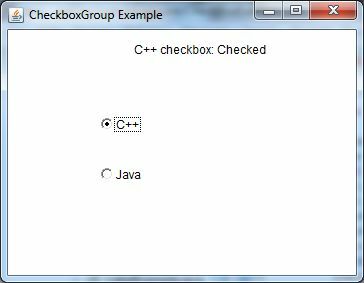 The object of CheckboxGroup class is used to group together a set of Checkbox. At a time only one check box button is allowed to be in "on" state and remaining check box button in "off" state. It inherits the object class. 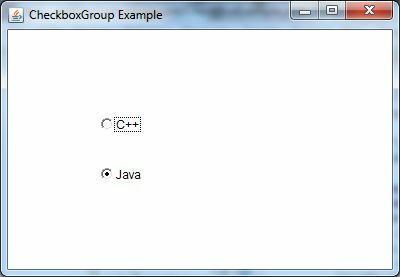 Note: CheckboxGroup enables you to create radio buttons in AWT. There is no special control for creating radio buttons in AWT.